News reports have it that Pakistan has successfully conducted a test of a surface-to-surface short range Hatf IX (Nasr), described as a multi-tube ballistic missile with a ‘shoot and scoot’ capability. The statement of the Director-General of the Strategic Plans Division, Khalid Ahmed Kidwai, that the flight consolidated Pakistan's strategic deterrence capability at all levels of the threat spectrum indicates that Nasr is nuclear capable. To Pakistani analyst, Dr. Shireen Mazari, ‘It (Nasr) will act as a deterrent against use of mechanised conventional land forces. 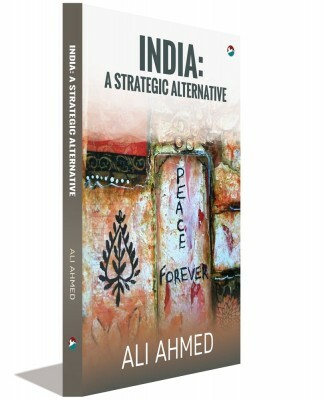 This was essential in the wake of India's adventurist war-fighting doctrine formulations, which envisaged the use of rapid deployment of armed brigades and divisions in surprise and rapid attacks.’ She believes, ‘Indian dreams of a limited war against Pakistan through its Cold Start strategy have been laid to rest. This will allow for a reassertion of a stable nuclear deterrence in the region.’ This article analyses if Dr. Mazari is right. Pakistan is the weaker side in the India-Pakistan dyad. Recognising this structural factor, its military, which also runs the state, has been constantly innovative in addressing what it perceives as an asymmetry. It has resorted to external balancing in renting out its strategic location for geopolitical use by external powers. It has forged a close relationship with China to balance India and help China in its strategic purposes in relation to India. 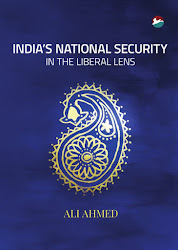 For over quarter of a century, it has tried to gain ‘depth’, forward of its defences, by rendering rear area security problematic for Indian forces through its proxy war. It has attempted internal balancing by reportedly training five lakh irregulars for making India’s stabilisation operations untenable, even at the risk and cost of the backlash it is currently enduring. This explains the utilisation of the development of Nasr for purposes beyond merely doctrinal. Further, Pakistan employs information operations interestingly and to some effect. For instance, it claims to have equalised India’s number of nuclear tests at Chagai and insists that these give a variegated capability. It periodically claims success of missile tests from the point of view of deterrence signalling. The Nasr test, for instance, coincided with the launch of corps level Indian military manoeuvres, Exercise Vijayi Bhav, in the Rajasthan deserts. Pakistan’s nuclear related rhetoric is also designed to increase the salience of the nuclear overhang and addresses multiple audiences, in particular the US. Its prosecution of operations against the Taliban in FATA and Khyber Pakhtoonwa province has been marked by much sound and fury, particularly with respect to the displacement of people. Its deployment of nationalist strategic analysts to inform, rationalise, legitimise and influence has been proactive. All these resulted in a former US president once famously mistaking South Asia to be the most ‘dangerous’ place in the world! This creditable record of information warfare requires to appropriately condition analyses of developments like that of the Nasr. Nasr’s flight test had both Lt. Gen. Khalid Kidwai and Dr. Shireen Mazari giving their opinions. This clearly indicates that even if Nasr is a forbidding reality by itself, the same needs underlining and highlighting for effect. Multiple aims are thus achieved. The purported aim is deterrence, which explains the timing to coincide with the Indian exercise. It could also be to get the US focus back on the eastern front in terms of making the admittedly delicate balance seem untenably unstable, in light of US keenness to get the Pakistani Army take on the Taliban in North Waziristan. That said, taking Nasr seriously at face-value helps arrive at its actual significance. The development of Nasr indicates that Pakistan views India’s Cold Start doctrine with concern. The Nasr is meant to deter India’s launch of Cold Start. Since Nasr is reportedly nuclear capable, short range and light weight, it could imply the use of tactical nuclear weapons were such a conflict to occur. Fearing a lower nuclear threshold, implied by availability of tactical nuclear weapons, India may be deterred from embarking on Cold Start. This would enable Pakistan to recreate the space it once had for continuing its prosecution of proxy war - a space that has been constricted by India’s formulation of a Cold Start doctrine, even though all the components of the doctrine such as weapons acquisitions, relocation of formations and change to a manoeuvre war culture are not yet entirely in place. It has been assessed that Pakistani reliance on its nuclear cover would increase with India’s increasing felicity with Limited War doctrine. Pakistan is reportedly ahead of India in numbers of nuclear warheads and in a more variegated missile delivery capability. This, to one analyst, spells a strategy of ‘asymmetric escalation’. In the Pakistani logic, nuclear deterrence is also to operate at the conventional level. Nasr, to Dr. Mazari, makes for deterrence stability since it helps strengthen this dimension of nuclear stability. Dr. Mazari is right on deterrence stability, but gets her reason wrong - the reference to Cold Start being anachronistic. India’s Army Chief has indicated that no such doctrine exists. It appears that the Indian military is looking to respond to subconventional provocations at the same level. This may be in the form of surgical strikes, Special Forces operations, border skirmishes, activation of the Line of Control, select punitive operations, etc. The Indian intent will be to convey a message of resolve as well as to punish and cause selective attrition. And the aim would be to address Pakistani cost-benefit calculations in such a manner as to coerce Pakistan into limiting its provocation below India’s ‘level of tolerance’. Such a course of action by India has internal political utility in letting off steam in terms of ‘something’ being done. It is also decidedly less expensive, preserving India’s grand strategy of economic rise from being unnecessarily buffeted. The Indian move away from a default resort to Limited War places the onus of escalation on Pakistan. India’s conventional capability is to ensure that Pakistani reaction to such subconventional retribution is non-escalatory. Should Pakistan try to respond with conventional action, that would provoke a ‘Cold Start’ by India. Pakistan would thus be placed a second time round in a position of decision to escalate, this time by using Nasr. The prospects of Pakistan’s self-deterrence under such circumstances are higher. In the event, Pakistan will be forced to react defensively to India’s ‘contingency’ operations. In case push comes to shove and Pakistan does resort to the use of Nasr, then this would more likely be on its own territory, rather than provocatively on Indian launch pads close to the border. India’s promised retaliation may not then necessarily be along the lines of its nuclear doctrine of ‘massive’ punitive retaliation (strategy having the privilege of departing from doctrine). The net result would be further nuclear impact(s) on Pakistani territory. In other words, stability reigns not due to India being deterred, but Pakistan being self-deterred. Accountability for initiating both the conflict and a possible nuclear conflict would rest with the Pakistani military. The aftermath would surely find it decisively pushed off its commanding perch in Pakistan by an angered people. ‘It is in wars that we have come to call ‘limited wars’ that the bargaining appears most vividly and is conducted most consciously. The critical targets in such a war are the mind of the enemy…the threat of violence in reserve is more important than the commitment of force in the field… And, like any bargaining situation, a restrained war involves some degree of collaboration between adversaries.’ (Schelling, Arms and Influence (1966). 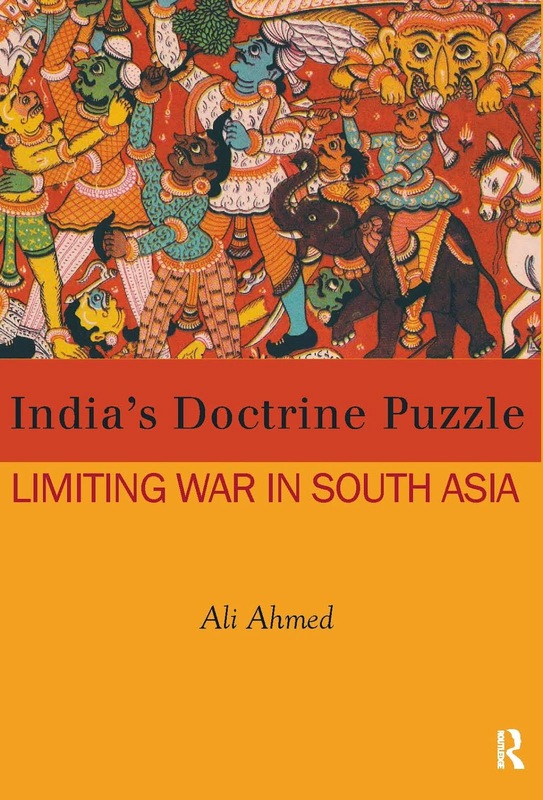 The challenge in South Asia is to ensure that the contest remains at the doctrinal level. Keeping it so entails getting into a doctrinal dialogue with Pakistan so that the ‘collaboration’, mentioned by Schelling, can be from a mutually intelligible script.